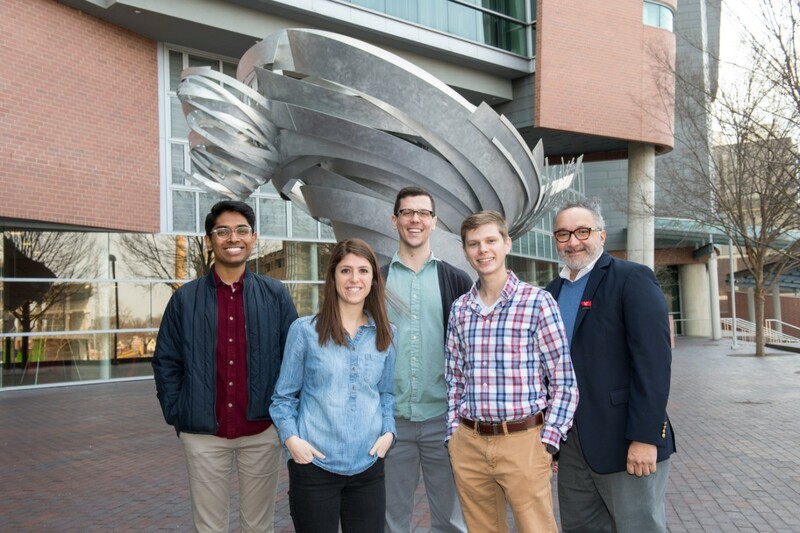 Welcome to the Department of Molecular Genetics, Biochemistry, and Microbiology at the University of Cincinnati Academic Health Center. Please take a few moments to browse through the site and learn about our department, our research, and our graduate programs. The department is part of the University of Cincinnati’s College of Medicine and currently comprises 19 primary faculty members and 23 affiliate faculty members with interests ranging from cardiovascular biology to microbiology/immunology and from cancer biology/regenerative medicine to structural biology. In addition to our traditional Molecular Genetics Program we are now collaborating with the Division of Human Genetics at Cincinnati Children's Hospital to offer an exciting new Human Genetics Program. For more information about the University of Cincinnati and Graduate School in the Biomedical Sciences please view the following video. If you are contemplating a biomedical research career in the academic, educational, federal or commercial worlds, choosing the proper graduate program for your training is one of the most important decisions you will make. Click here for more information regarding the admission process. With the future of medicine and medical practice firmly rooted in recent advances in biochemical and genetic technologies, the graduate program in Molecular Genetics, Biochemistry and Microbiology at the University of Cincinnati College of Medicine is ideally placed to provide you with the challenge, intellectual excitement and high-level training necessary to jump-start your career in molecular biology and medicine. Way to go Demetria Fischesser! Winning the Three Minute Thesis (3MIT) competition at the UC Graduate Expo last week. Title of her presentation was “Recapitulating In Vivo Cardiac Fibroblast Behavior Using a Novel Hydrogel Cell Culture System”. Congratulations to Dr. Michael Lieberman on being nominated for the Outstanding Academic Unit Head/Leader Award. This award recognizes an academic unit head, division head, or school director who has demonstrated exemplary leadership in multiple domains. Congratulations to Alex Thorman who obtained his PhD at commencement ceremony. Anil Menon, PhD, has been named associate dean for baccalaureate education in the College of Medicine by Andrew Filak Jr., MD, interim dean of the College of Medicine. Menon will be responsible for the oversight of all programs in the college that lead to a bachelor of science, bachelor arts or other undergraduate degrees. Congratulations to Loryn Holokai from the Zavros lab who just received a F31 Predoctoral Fellowship from the NCI. Way to go Loryn!! Congratulations to all our graduating students! Cameron McDaniel, Jeffrey Schubert, and Jessica Doll received their PhD degrees. Emily Campbell received her M.S. degree. Congratulations to Jason McCoy in the Thompson lab who is one of four recipients of this year’s College of Medicine Ryan Scholar Award. The awardees receive a honorarium and will be invited to attend the Ryan Symposium in the Spring of 2019. Way to go Jason!! Congratulations to PhD student Jessica Doll who was selected to give an oral presentation at the 2018 International Herpesvirus Workshop in Vancouver. Way to go Jessica! 4/20/2018Congratulations to PhD students Erich Goebel and Jason McCoy for receiving American Heart Association-2018 Predoctoral Fellowship awards. Way to go Erich and Jason! 3/19/2018: Congratulations to professor Daniel Hassett, PhD who is the winner of the 2018 University of Cincinnati Award for Established Entrepreneurial Achievement. 3/8/2018: Congrats to Molgen Graduate Student Hashim Aljohani for receiving a 2018-2019 Outstanding International Graduate Student Award from the University of Cincinnati. Way to go Hashim! 02/15/2018 Congratulations to Loryn Holokai winning 1st place in the Three Minute Thesis Competition at UC's Graduate Student Expo. Way to go Loryn! 2/2/2018: Congrats to Molgen Graduate Student Alex Yarawsky for receiving a 2018-2019 Dean's Fellowship from the University of Cincinnati. Way to go Alex!